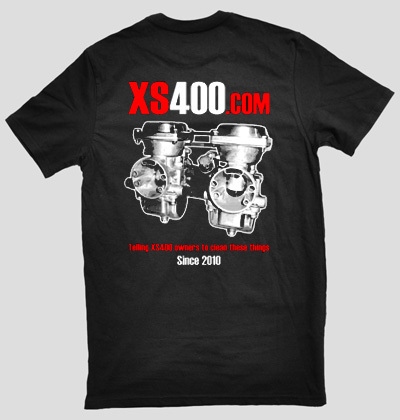 XS400.com is dedicated to the Yamaha XS400 twin motorcycle and to their owners who love to ride, restore, and customize them. All XS400 enthusiasts are welcome regardless of where you are from or whether you are into XS400 choppers, bobbers, cafe racers, trackers, or restorations. Yamaha XS360 and XS250 enthusiasts are welcome here too! Enjoy the site! Go to the Store page to order. It's finally here! 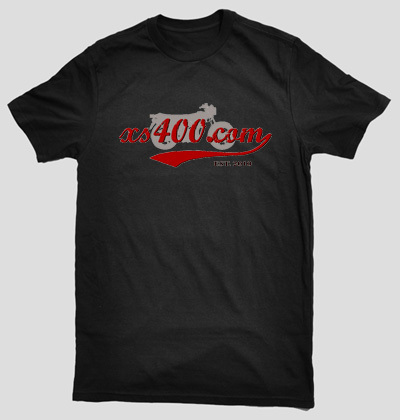 XS400.com is now running on the Xenforo platform. There are many new features and some changes that will take a little getting used to. The biggest change is the responsive design which will make the site easier to use on a phone or tablet. The site also has much better security and should do a better job of filtering spam. Post any bugs or problems here and I'll do my best to resolve them. Enjoy! Check out Volcomsakter77's low-budget XS400 build. It's a 1979 Yamaha XS400 that he picked up with a seized engine for $150. See the build thread for all of details and pictures! It's a long thread, so here's a direct link to the post with the final pictures. Check out this beautiful XS400 powered dual sport built by Seth Hensler (member MILLENNIUM FALCON) from Pennsylvania. Seth's creation started with an '81 XS400 he found on Craigslist for $275. He originally was going to build a tracker, but later decided he wanted to build a dual sport and started looking for another donor bike for the frame and suspension. He was lucky to find an '85 XT350 with a ton of extra parts for $100 from his dad's neighbor. Over the next winter Seth spent countless nights in his garage fabricating and welding. He said "I think my neighbors were expecting iron man to emerge from my garage/basement". Seth fabricated the rear subframe, engine cradle, handlebars, and exhaust headers, and did all of the work on the bike himself except for sewing the seat. The bike is a frankenbike with parts from several different motorcycles. The engine is from an '81 XS400, the frame is from an '85 XT350, the rear brakes are from an '01 DRZ, the rear hub is from a '94 YZ250, and the mufflers are from an '05 CR250F. He added a Trail Tech Vapor dash, new tires, and a new rear rim, and later upgraded the XT350 forks to some modern upside-down motocross forks. So then Seth decided he wanted to take on another build, but without having the money for new bike, he decided to build a sidecar! With a lot help from ADVrider, he took on the sidecar project using the swingarm from the XS400 frame and a sidecar body from an old Ural that he drove up to New York to pick up. He fabricated a subframe and full custom frame for the sidecar and painted everything to match the bike. Great job on the bike and sidecar Seth! Check out the build thread for more details and pictures! See the sidecar build thread! Thaddaeus - did you ever resolve your exhaust heat problem from a few years back? I was reading through your thread as i have smoking exhaust and trying to determine cause - curious if you found a fix whether resealing exhausts / gaskets or otherwise.